On Wednesday, I spent the day at Gateway School District on a consultant job for the SRI-ETTC. 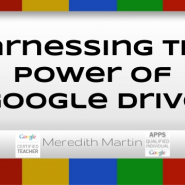 I presented my workshop on Google Drive for four sessions, training teachers on their newly acquired Google Accounts. I had a great day, and I hope my audience felt the same way. I have been a teacher for 16 years, and am currently working as a computer teacher / technology integration specialist in a K-6 district. I am also an independent educational technology consultant and have presented at the school level, district level, state level, and beyond. I am happy to be a lifelong learner, a Google Certified Teacher, and a Google Apps Qualified Individual.